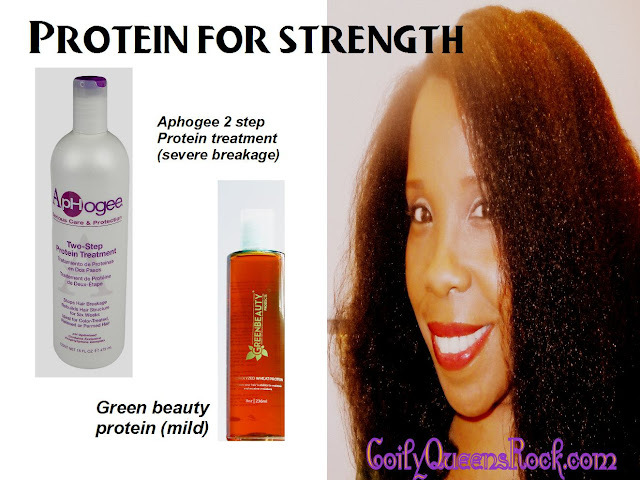 A good protein treatment will contain hydrolyzed keratin protein in the top 5 ingredients. This liquid protein deposits micro pieces of protein onto each hair strand. This makes your hair stronger and it no longer breaks so easily. Finger combing is the best thing you can do for your coily hair. Your breakage will be reduced by 80% if you stop using combs or brushes. 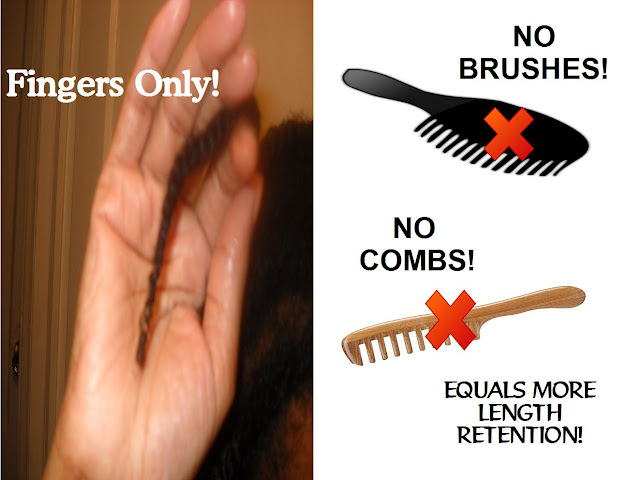 Try it for 30 days and experience more length retention. 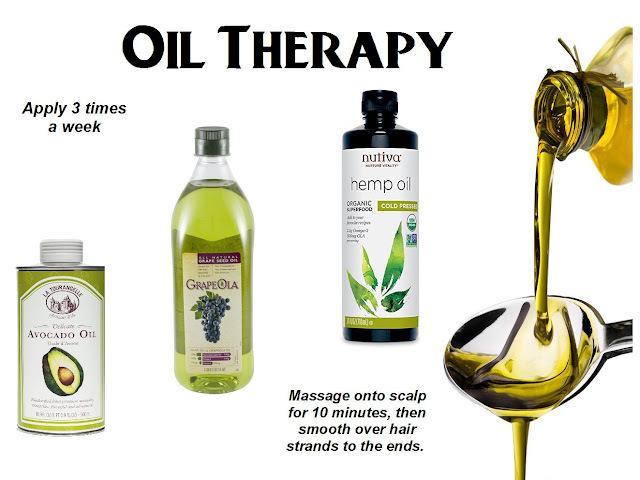 Applying good quality oils to your scalp daily, is great for hair growth. Massage onto scalp for 10 minutes. Then smooth down the hair strands. This keeps your ends from splitting and single strand knots from forming.